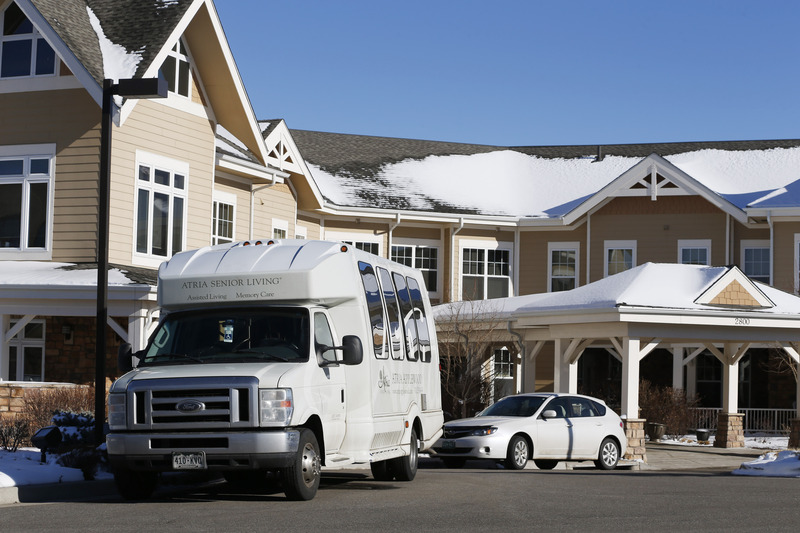 DENVER -- Mental health experts say the case of an 87-year-old Alzheimer's patient suspected of killing his roommate at an assisted living facility in suburban Denver is rare and shows the difficulty of caring for those with the unpredictable disease, even for the specially trained. Homer Castor, who faces charges in the beating death Saturday of Gerald Propp, 76, was known to be a challenge to staff at Atria Applewood in Lakewood because he would wander the facility at night. Just 10 days before the deadly beating, staff noted another interaction between the men that left Propp with scratches on his neck. Violence is rare among Alzheimer's sufferers and can be difficult to predict, said Ruth Drew, director of family and information services for the Chicago-based Alzheimer's Association. "If a person has not displayed these things before, it can be difficult. But you might have clues along the way," she said. Castor told officers he thought Propp, a fellow Alzheimer's patient, had tried to beat him up in the middle of the night and was pretending to be asleep when he assaulted him. Propp died late Monday. The same day, a judge ordered an evaluation of Castor's mental competency. His attorney, Dave Thomas, did not immediately return a call seeking comment on the allegations. An aide who interacted with Castor described him to police as "never listening, hard hitting and did not make much sense," according to his arrest affidavit. Propp's wife told police that, during a recent visit, Castor said of Propp: "He makes me so mad I want to punch him," according to the affidavit. But it was unclear whether she relayed that comment to the staff or whether it resulted in any action. Staff also noted in Castor's file that he suffers from dementia and should be monitored because he wanders at night. Sometimes, he would get up and get dressed, believing it was morning. An aide told police that she tried several times to get Castor to go to bed the night of the beating, but he kept wandering around the building, finally falling asleep on a couch in a common area. Once he was back in his own room, the aide said she checked on Castor twice between 12:30 a.m. and 5:30 a.m. and found both men sleeping, according to the affidavit. When she returned for a third check, she heard a voice yelling for help and found Propp badly bleeding. Neither man's relatives immediately returned calls for comment. Atria Applewood issued a statement saying employees were saddened by the death and the facility is cooperating with investigators. "We are committed to taking all necessary steps to ensure that our residents continue to feel safe and protected in our community," the statement said. The Colorado Department of Public Health and Environment will conduct its own investigation of the facility's policies and practices, as is standard after a death. The facility was timely in reporting the assault and has a "good compliance history," said Randy Kuykendall, director of the agency's health facilities and emergency medical services division. The department is responsible for licensing assisted living facilities. The department found Atria Applewood acted appropriately in other cases, including one a July 2012 case in which a woman in her 80s threw an object at another resident and a case last year in which a man in his 70s pushed a female resident in her 80s, causing her to fall. The facility has 130 beds and a 50-bed secured unit, which is reserved for people with problems such as dementia and other cognitive impairments, Kuykendall said. There are stringent requirements for assessing whether a resident should be placed in the unit, which is more restrictive, he said. It was not clear if Castor lived in the unit. Kuykendall said isolation is not typically a best practice in health care. "The resident is allowed to flourish to the degree that they can. But these kinds of diseases are highly individualized," Kuykendall said. "Different people react differently, and there's always the potential for significant behavior issues up to and including violence."